Interested in becoming an Official? POSA needs YOU! Are you interested in becoming an official? POSA needs you! With a few of our officials "retiring" with their 8th grade swimmers after the Spring Season, we will be in need of a few parents to train to become a team official. If you are interested (yes, please! ), there are a few training clinics coming up in April and May. 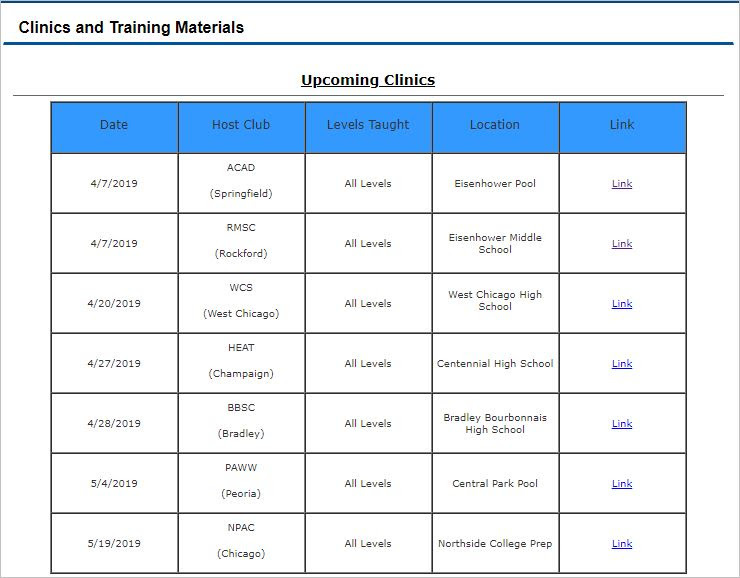 If you are interested or looking for more information, please email Kate Donnell (kate.donnell@posaeagles.org or go to the Illinois Swimming's Website (Click Here)! * POSA pays for the training and officiating takes place of the seasonal volunteer hours. Hope to see you on the pool deck officiating this summer!